Today we’d like to introduce you to Cameron Smith. Cameron, please share your story with us. How did you get to where you are today? My wife Erica and I began thinking about our children’s education well before they were born. We knew we wanted to live and work in downtown Chicago so that the city’s diverse resources and community would remain at our doorstep. However, like many Chicagoans, we wondered whether that would be feasible with school-age children. We heard urban legends about getting onto waitlists for independent schools in Chicago while children were still in the womb! Despite this competitive process, we began to wonder if any school, public or private, charter or parochial, would even offer the kind of education we wanted. We knew for sure that we were less enamored with an outdated or prescribed approach to school created for an industrial factory age. We also found that long-standing school traditions, some over a century old, can be wonderful but they can stand in the way of innovation. We wanted a school where our kids could learn by doing. 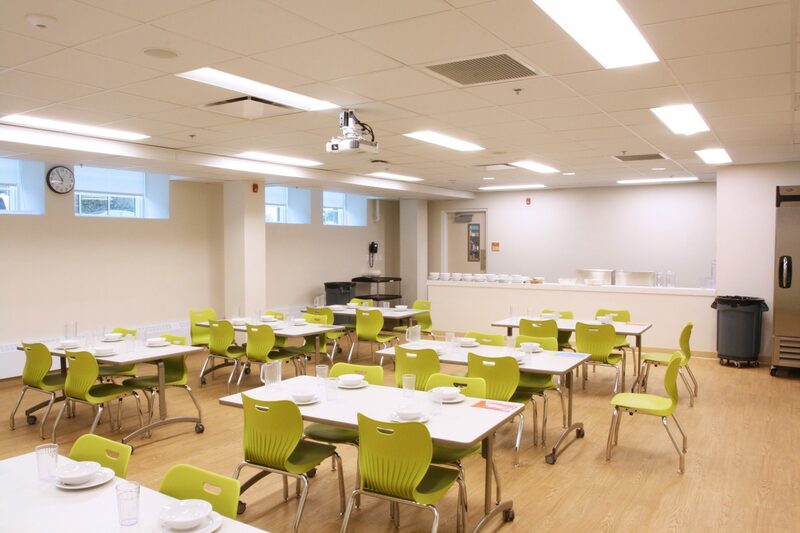 A place where teachers would mentor and work alongside kids to construct learning. Not a place moving students along a path completely set out for them. We didn’t want a school that was just ‘fine’ or ‘ok’ either. We wanted what we felt was ideal for our kids. However, if the ideal school didn’t exist with what we dreamed of, and if the same was true for other parents, what would we do to address our kids’ education? We need more great schools in Chicago. 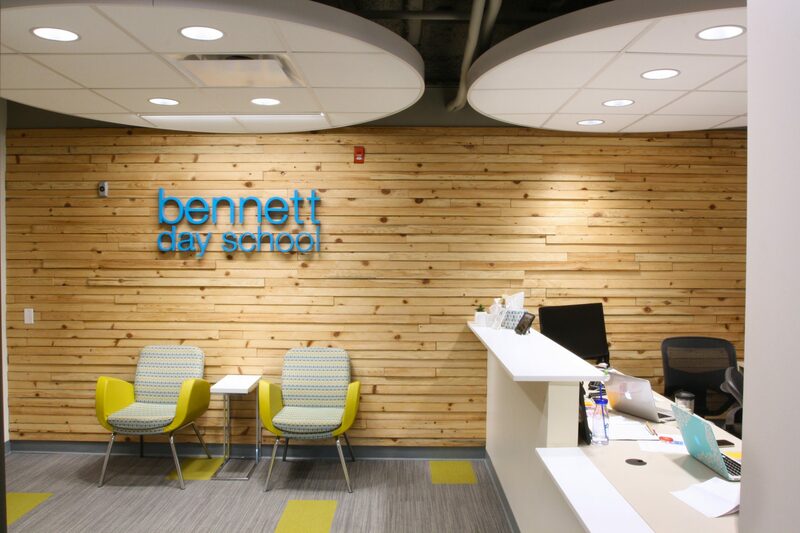 After exhaustive research, we felt confident and excited to create a unique place like Bennett Day School to help children find, discover and explore their passions with best practices gathered from around the globe. My parents loved what they did — my dad was a locomotive engineer and my mother was a teacher. I wanted that same passion for my kids. Our children deserve the chance to be innovators, entrepreneurs and agents of change, and to better themselves in a rapidly changing world. That is what education should accomplish, and that was the progressive school we wanted for our children. We had countless conversations in our living room with other parents, at the time, to bounce the Bennett Day concept off of them. Teachers would document student work in a unique digital portfolio so students could reflect on their own learning, make the most of their school experience and then put their best foot forward in life, be it in applying to college or for a job. 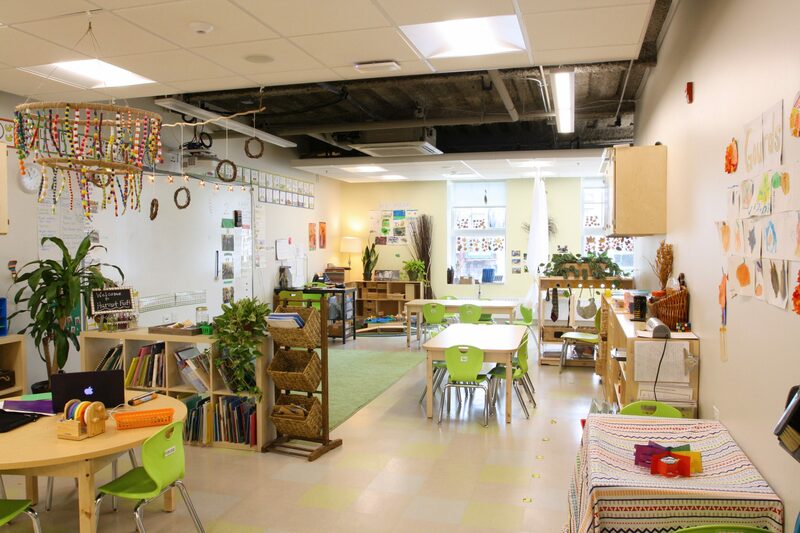 We opened our doors in 2014 with just three rooms of kindergartners. Entering our fifth year, we have close to 200 students enrolled in elementary school, with that number growing each year. In our early days, it was challenging to create a school from scratch. I was just a concerned parent at the time, and while I had spent years as a private equity investor in the education space, I was not yet a school administrator nor a teacher like my mother and sister. I looked at myself, analyzed what I am good at, then went on a search for a partner to compliment my skill set. That’s when I met Kate Cicchelli, a passionate and experienced progressive educator. I remember many early interviews with teachers who would ask if they could see the curriculum or workbooks to guide what they needed to do. In those cases, we thanked them for their time and continued searching. We wanted teachers to be flexible with the students. While we utilize a Singapore Math curriculum and tried-and-true tools like Fountas & Pinnell for guided reading or Handwriting Without Tears, our teachers need to change the content or topic at hand to deliver cognitive goals. For example, if a teacher needs to cover three-digit multiplication, it could be related to the Chicago River, outer space or whatever topic captures the students’ imagination. We know students can retain about three-quarters of what they learn this way, versus less than twenty percent in a more traditional approach with worksheets or topics spelled out in a set curriculum where students have little say. So, it was hard early on to find teachers who taught this way in their schools, despite the institutional norm or tradition. Talented educators like Meg Fitzgerald and Frances Judd either left administrative positions and even came out of retirement for the chance to teach at Bennett Day. It took years, but a small and talented group of faculty has grown larger and larger over time, and now increasingly refers their own colleagues to join us. Bennett Day actually practices learning by doing. 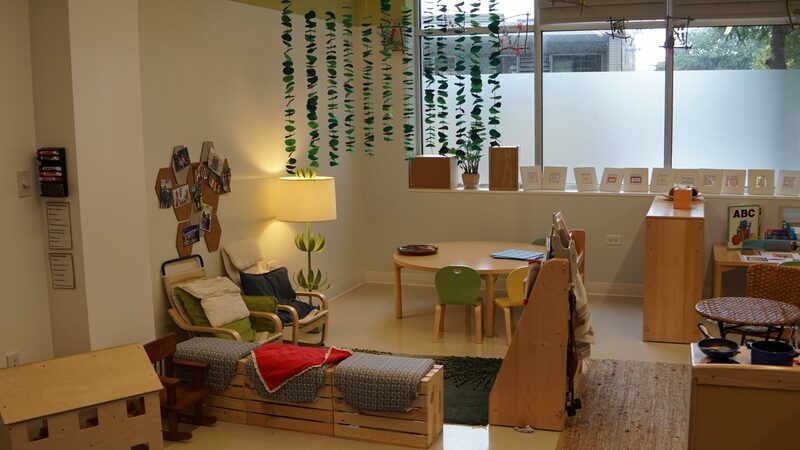 Our progressive school is inspired by the Reggio Emilia approach from Italy, which emphasizes key life skills: inquiry, innovation, teamwork, grit, perseverance, critical thinking and a growth mindset. 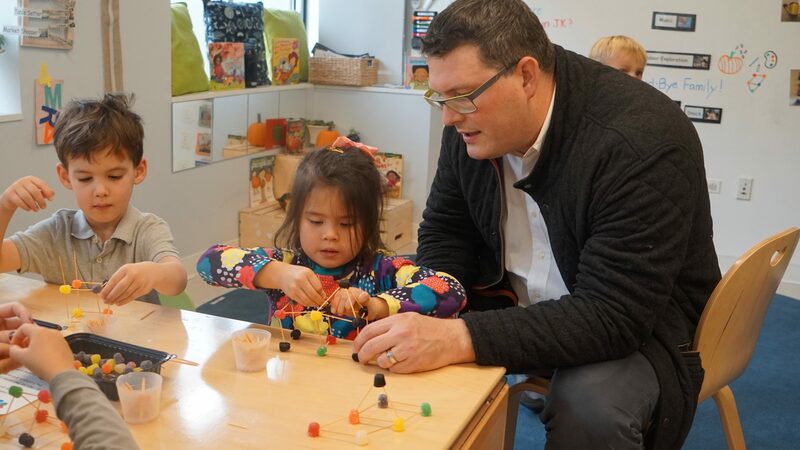 This progressive approach to education is reminiscent of my own collaborative experiences in business school at Kellogg, and I knew it was what we needed in K-12 education. Interestingly, the approach ties back to the founding tenets of progressive education: what may have once been lost over time has been found again. We often recommend parents ask for a student’s daily schedule during a school tour, as this will show a school’s true philosophy. It peels back the onion in a way that cannot be talked around. We are dedicated to making time for activities like ‘project development’ for long-term explorations that continue on multiple days per school week. Our students do the same with art, music, Spanish, gym, tinkering and engineering sciences. It is all cross-subject and not compartmentalized. One of my proudest moments was when, after two years of an exhaustive self-study, we became fully accredited with the National Independent Private School Association (NIPSA). The NIPSA team told us that, in decades of accrediting schools, this was the first time they had zero recommendations about improving the educational approach in a school community. Chicago was an ideal place for a progressive school like Bennett Day School. 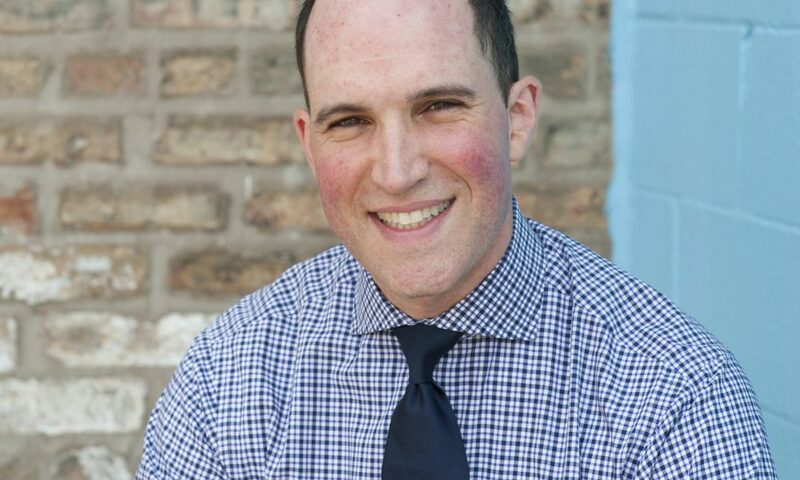 As my wife Erica and I had quickly discovered, the Chicago education landscape was unlike any other, extremely competitive and lacking in a variety of progressive education options. 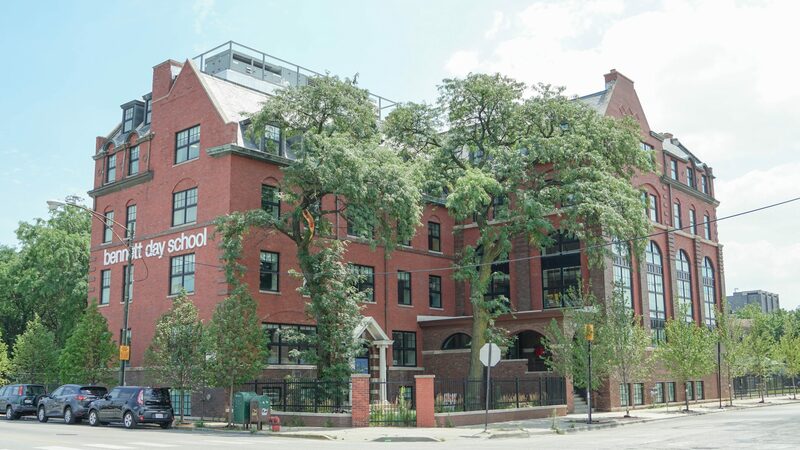 A small handful of schools founded over 100 years ago were highly desirable in the city, however, the world is changing quickly and it was time for the school landscape in Chicago to grow and innovative as well. Bennett Day filled a void in the city to offer progressive schooling with time and space for students to follow their passions while also ensuring a rigorous, comprehensive education in key disciplines.